like it to go away? 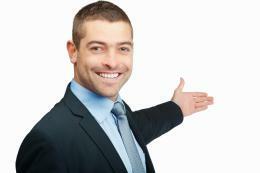 regular clinics in Ashford, Kent. we can get you up and running again, fast. we'll have you feeling 10 years younger. back pain or other pregnancy related discomfort. pain relief from the majority of these complaints. According to an article published by Bupa, 75% of us will suffer one tension related headache per year whilst 20% will suffer one each month but a significant 3% will suffer one every other day. Over the counter pain killers such as aspirin and ibuprofen are commonly prescribed to relieve headaches however a report published by the Cochrane Collaboration has shown acupuncture to be more effective at reducing pain. The Cochrane reviews involved a total of 6,736 patients, who were given acupuncture to prevent either mild to moderate “tension” headaches, or migraine attacks. Following a course of at least eight weeks, acupuncture patients suffered fewer headaches than those given only painkillers. Cochrane Collaboration is an international nonprofit, independent organisation that produces and disseminates systematic reviews of health care interventions and promotes the search for evidence in the form of clinical trials and other studies of interventions. The study was carried out in Germany with the conclusion published in 2009. Visit http://www.cochrane.org for more information. However diet may be a problem as certain foods and caffeine are thought to trigger headache attacks as can bright sunlight, illness, tiredness and smoking. What we do know though is that when we are stressed our body releases the “fight or flight” protein “neuropeptide Y” into our bloodstream. Studies and MRI scans show that acupuncture significantly reduces the presence of the protein in the blood so calming the central nervous system. Acupuncture can be an effective treatment for tension headaches. After a course of treatment many patients find that their headaches go away completely or are held at bay for several months allowing them to go drug free. 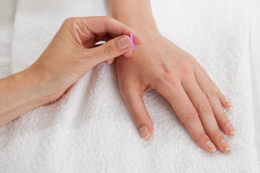 Touch2Heal offers acupuncture at our Ashford clinic in Kent. Please call us today to make an appointment and see if we can help resolve your tension headache issues. I’ve suffered headaches and migraines for most of my life and I virtually lived on painkillers. I only wished I had visited Cecile earlier. The frequency and intensity of my headaches are greatly reduced and far more manageable. Thanks Cecile. My friend recommended Cecile Kiener at Touch2Heal as she had treated her successfully for a stomach disorder. I had never had acupuncture before so was a bit apprehensive. However it was pain free and my constant headaches are now a thing of the past. If you would like an appointment please contact us by phone or email. Alternatively you can book online using the link on the top of the home page. © Copyright 2013 by Touch2Heal.